There’s been a new trend in the workforce and it’s been dubbed the “gig economy.” You’ve seen it everywhere – Uber, Lyft, Instacart, Fancy Hands, Task Rabbit, etc. But companies like Uber have been under fire for hiring their drivers as independent contractors when they should be considered employees. We talk with Matt Close of Bethel Tax (betheltax.com), an accountant who specializes in working with independent contractors, freelancers, and small businesses, to find out what the real line in the sand is on employees vs. independent contractors and what you can do if you should be an employee but are being paid as a contractor. Pam: As an investor, the best advice that I can give to you is to hang tight. If you’re investing for the long term, and that means 5 or more years, than these kinds of dips are just a blip in your portfolio. They will not affect it very much at all. And if you’re really investing for the long term, I mean 20-30 years out, than this will not even matter. Pam: The reason why you come up with a plan and you figure out what your goals are for investing before you put the money in is because you do not want to let situations and events like this affect your investment strategy…For instance, one strategy….is dollar cost averaging. And basically what that means is you say, “I’m gonna put a hundred dollars in the market every month no matter what happens. And so, on the highs you’ll be able to buy less, and on the low months you’ll be able to buy more. And so it all kind of evens out. And that gives you the stability within the volatility of the market so that you’re not trying to jump in when the market’s super low–and how do you even know that the market hit a low? We know in hindsight that the market went down and went back up for a week, but if you were like, “Oh my god, I’m gonna hit it at a low,” and then the market just keeps going lower, what happens? …You’re literally gambling when you think of it that way. Matt Close: [the difference between being an employee and a contractor] How much control does the person who’s contracting you have over the work that you do? Do they tell you how to do the work and where and when to do the work, and with what quality? That would be one of the first things. The other thing is, okay, who handles the money? 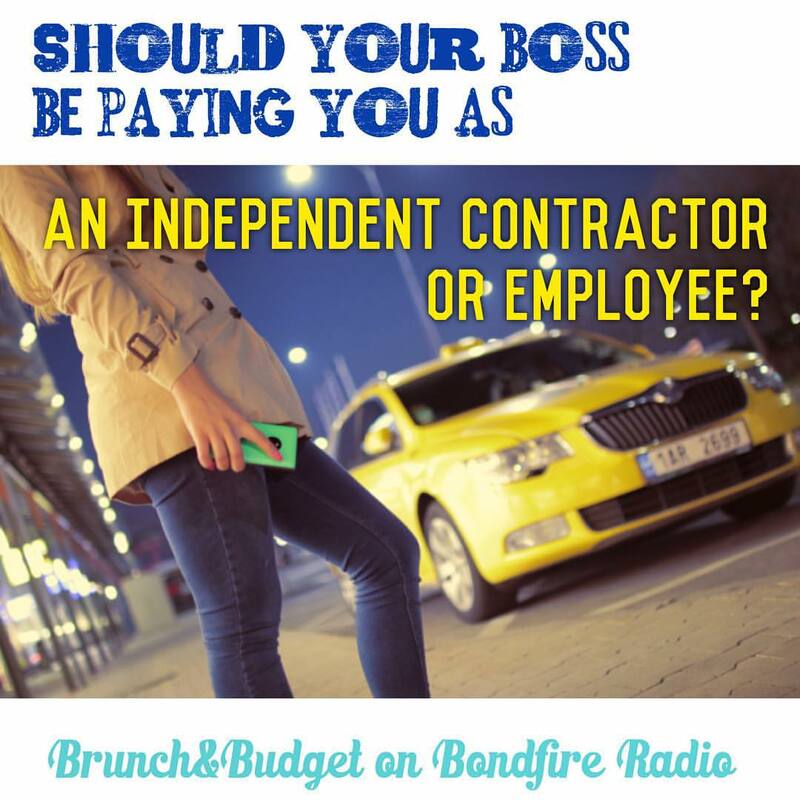 …Is it your own business that you’re working on as a subcontractor, or are you getting paid as a consequence of the company that you are contracting with? …A third point that I think is really important: How much of what you’re doing is at risk? Here’s where you run into a problem. You’re an Uber driver and you’ve got your car, and you decide you don’t want to be a an Uber driver anymore so you just stop. How much of what you have in there is at risk? Almost nothing. If you’re a real business owner, what do you have at risk? Well now you have relationships at risk, you have outstanding bills, you might have rent, you might have all kinds of things that are now an at-risk portion of your investment. Matt Close: The primary reason the companies do it [pay as contractor instead of employee] and Uber especially: you’re getting out of paying the employment taxes, the unemployment taxes, the FUDA and the SUDA, and workman’s compensation, and all the items that come along with having an employee as opposed to a subcontractor. The cost for the employer is huge. Matt Close: Capitalism has the capacity inside where we can all work together and we can make the wheel run properly. Or, when you get into certain sections of capitalism…they’re looking to exploit the lowest paid labor that they possibly can. In the early part of American Industrialization we had child labor. If you go before that in the farm area, we had slavery. We had completely unacceptable ways of using human labor to create profit. The whole point is, we’re too far down the road as a country, as a system, to allow that to happen...I think there’s so many good things about the whole freelance movement. I love that we’re breaking away from corporations and that we’re all in entrepreneurial spirit saying listen, we can do these smaller gigs. We can do this. The point is, we can’t do them and then get stuck in a rut where they don’t feed us, they don’t even pay us enough money to survive. Pam: What can you do if you’re in a situation where you’re getting paid as a contractor but you really should be an employee? Matt Close: The very first thing is start out with a conversation to your employer, and I promise you it’s not gonna go well. There’s no way they’re gonna go, “Oh we never thought of that, we’d love to have you as an employee.” But you need to have the conversation anyway. There’s a form, there’s an IRS form called 8919, you can fill that one out and you can say look: I got paid on a 1099 when I was supposed to be paid on a W2. The IRS will follow up on that under most circumstances. It depends how big the company is, it depends on the situation, but it’s not fair that you bear the burden of doing the work of an employee. Can you imagine? If you walked out of there you wouldn’t have unemployment benefits because you didn’t pay into them. That’s not fair.